The sweetener stevia is derived from the sweet herb of the same name and will be approved for use as a sweetener in food in Europe in 2011. As an alternative to the classic, rather unhealthy sugar, stevia is often used to sweeten food and drinks. Although Stevia has been on the German market for several years now, the use of the sweetener is still rather limited. On packaging, the ingredient steviol glycosides is indicated as ‘E 960’. The best known are probably soft drinks, especially cola, which are mixed with stevia and therefore advertised as particularly low in calories. There are also jams, chocolate and ketchup. 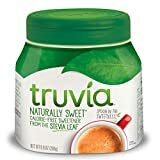 Stevia is also available in the form of conventional sweetener tablets and can therefore be easily added to coffee or tea. In private households, the natural leaves of the stevia plant are very suitable for cooking and baking. Stevia can therefore be used in many different foods and is even suitable for use in your own kitchen. In principle, the ingredient E960 may be used in distributed dairy products, beverages and jams. Opinions about stevia differ widely, both scientifically and socially. After Stevia was celebrated as an alternative to sugar during its legalization and introduction into the German food market, the expected rapid spread of the sweetener has so far failed to materialize. There are still very few foods containing this ingredient, which has to do with the aforementioned approval for only a few food areas and the taste of stevia. Some consumers find the taste of stevia too bitter – the taste is often described as liquorice. Compared to conventional sugar, stevia is about 200 to 300 times sweeter and must therefore be used carefully. In principle, the naturalness of stevia is advertised, but this ingredient is industrially processed and used, so that the original naturalness is lost to a large extent. The natural leaves of the plant are more suitable here, but not yet approved for marketing in the EU. Although stevia is not used as a natural substance in food, some important health effects have been observed. Stevia has a regulating effect on the blood sugar level and is particularly beneficial for diabetes patients. 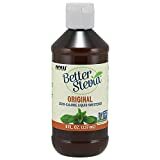 Furthermore, stevia is often used as a sugar substitute by people who want to lose weight, because the plant extract contains a negligible amount of calories. In contrast to conventional sugar, the consumption of stevia does not lead to caries. In principle, a person should not consume more than 10 milligrams of steviol glycoside per body weight per day. This requirement is intended to prevent possible side effects and should be observed especially in children, who may quickly exceed this limit due to their low body weight. Due to the strong sweetness, however, even small quantities are usually sufficient to replace sugar.